It’s Speedy Tuesday! Once in a while we ask someone to contribute to Speedy Tuesday. Today I am honored that my long time friend Ruckdee was willing to do a write-up on how he got his Omega Speedmaster Professional Mark II. It isn’t a story about the watch, but a story about things that matter in life and sure, the watch plays an important role here. The time was 1998. I finished high school and decided, out of a whim, to ask my estranged father for “that gray watch with many hands that you don’t wear anymore”. 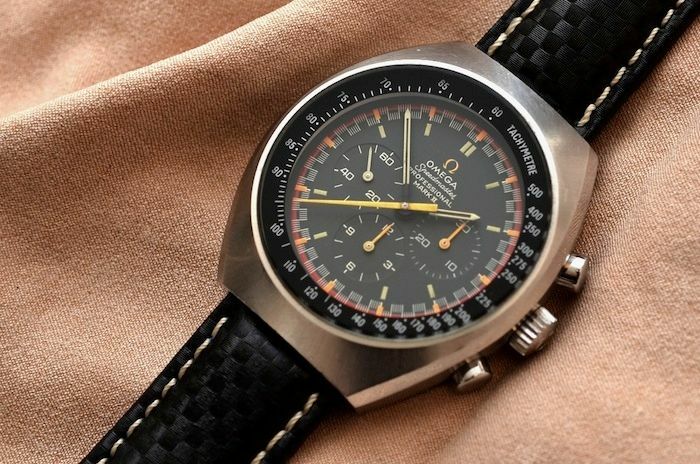 Basically, I was referring to this very specific Speedmaster Mark II he used when I was younger but discarded it for an analog/digital quartz watch a couple of years before that time. And to my surprise, he let me have the watch and even taught me how to wind it. But why would a watch need winding? Aren’t all watches supposed to be powered by batteries? Curiosity drove me to research online from the limited resources available back then. I soon learned about the difference between a hand-winding movement and a self-winding movement, between a chronograph and a chronometer, between a tachymeter and a pulsometer and so on. Every watch enthusiast must have been through that phase I believe. In my case, I also learned if there was a Mark I and what the meaning of the Mark designation was in general, thanks to our helpful friend Chuck Maddox who has updated his Mark II article with my question and his detailed response. I wore my Speedmaster Mark II to college every day with pride and made the mistake one evening by wearing it into the shower. Obviously, I failed to read about the effects hot water might have on twenty some years old gaskets! My father bought the watch in Zurich where he received training for his job at Swissair in early ‘70s. He never had it serviced since. Fortunately, the incident happened on a Friday and the local dealer was open on Saturday. Their watchmaker promptly attended to the watch and restored it to perfect order before any permanent damage was done to the dial or the hands. I did learn more than just about watches at that time. Through the people I met on a watch forum (our very own RJ included), I began to have friends outside of my own country. Forum members sent me small gifts and Omega literature from Switzerland, Germany, the UK and the US. I even had a chance to meet some when they were on business or vacation here in Bangkok, Thailand. It was a real pleasure. But more important than that was how this watch collecting endeavor helped restore the relationship between myself and my father. I remember a thread someone started about how we all became interested in watches. I shared my story of how I did not get along with my father, how he was tight and unforgiving all the time, how I felt neglect and secondary to my younger sister, and, of course, how he gave me his Speedmaster Mark II. For the record, my father was not alcoholic or abusive or anything. He had (and still has) a serious case of OCD and he didn’t (and still doesn’t) know it. That’s all. That was what made him mad when things were misplaced or simply not clean enough by his standard. Small but repeated disputes over some years can widen the space between a father and a son. Clearly, a few forum members have lost their father to old age or health problems already as they were ahead of me in years. The collective advice of everyone was for me to reconcile with my father before it was too late. I found it compelling enough to actually try to make things better. It took me about five years to adjust but eventually I discovered how to co-exist with my father and what subjects to avoid. The following ten years had been great, more so after I have moved out. Now we both focus on how to make each Sunday dinner we have most meaningful as we get to meet only once or twice a month at most. All of these would never have happened if I didn’t ask him for his Speedmaster Mark II that one morning in March 1998. So to all sons and daughters out there, I hope you learn a lesson from my story. Don’t be like the 18-year-old Ruckdee. Please be like this 33-year-old me. Please be more understanding and tolerant with family members and friends. And if you are a father, please try your best not to alienate your children! They may not have a chance to come around like I did. Thank you and enjoy your Speedmaster. 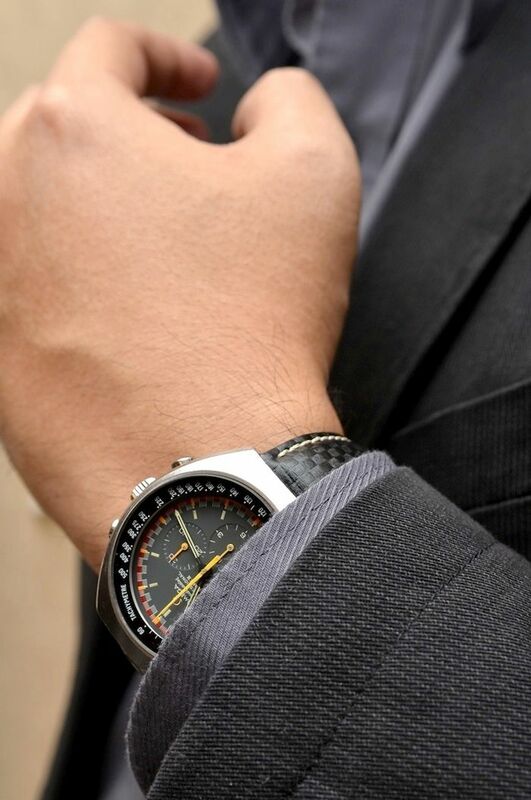 The Mark series were introduced in 1969 with the Ref.145.014 Speedmaster Mark II. A more modern case (for that time), but with the same hand wound movement caliber 861 as in the Moonwatch. These Mark series were in production parallel to the Speedmaster Professional ‘Moonwatch’ (145.022). It lasted till the Mark V (1984). 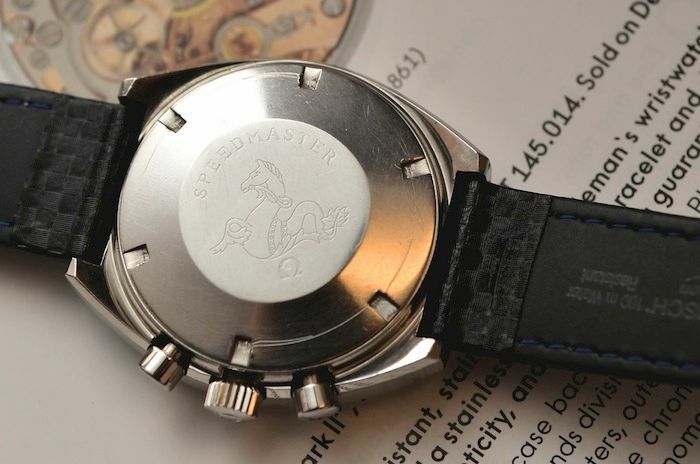 If you have an interesting Speedmaster watch or a story you’d like to share, send it to speedmaster @ fratellowatches . com (remove the spaces).